I have been a civil trial lawyer in San Francisco since 1994. 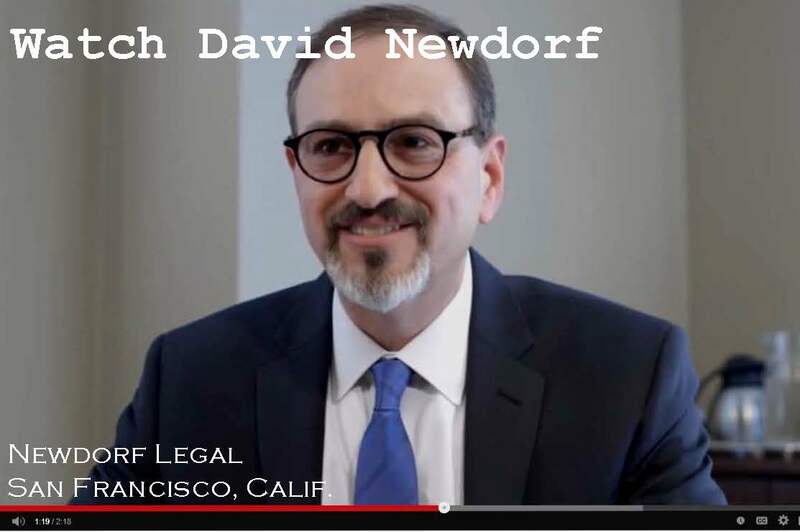 I started my business litigation law firm, Newdorf Legal, in San Francisco in July 2008. The firm represents individuals, businesses and public entities in trials and appeals. From 2001 until setting out on my own, I served as a Deputy City Attorney on the trial team of the San Francisco City Attorney’s Office. At the City, I defended police civil rights claims, class actions and complex commercial disputes. 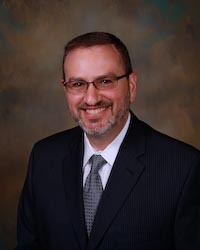 I practice in both state and federal court at the trial and appellate levels. Under former City Attorney Louise Renne, who hired me, and now Dennis Herrera, the City Attorney’s Office has been — and continues to be — an extraordinary public law office. I was lucky to work with such talented and committed lawyers. I joined the City Attorney’s Office to get inside a courtroom on a regular basis and to try cases. Before joining the office, I was a litigation associate at O’Melveny & Myers LLP in San Francisco from 1994 to 2001. Very early in my career (1995-96), I took a one-year hiatus from O’Melveny to clerk for Judge Charles A. Legge in the U.S. District Court for the Northern District of California. It was there I got my first exposure to civil rights cases, which led to pro bono work at O’Melveny and more recently to my focus on police civil rights cases at the City. After court, Judge Legge would light up a pipe in chambers and regale the law clerks with trial stories from his days at Bronson Bronson & McKinnon (now defunct). The San Francisco legal community of Judge Legge’s early years seemed parochial and clubby compared to the bar today. These stories instilled in me an appreciation for local traditions, collegiality and a sense that San Francisco trial lawyers are part of a legal community with a proud history. 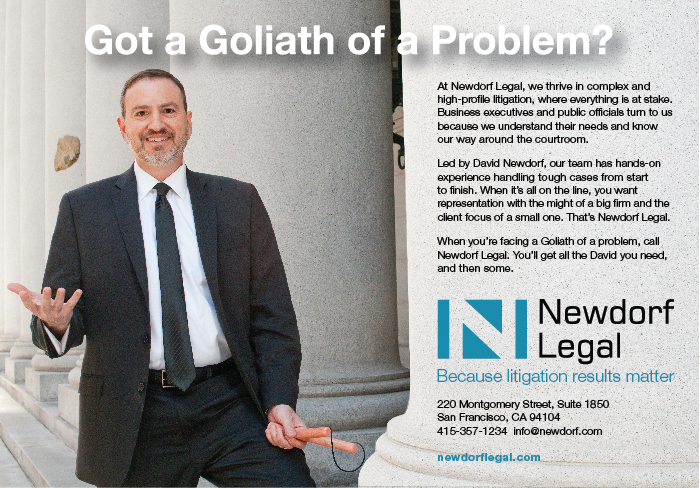 For a free copy of our brochure, “The Top 10 Business Litigation Mistakes . 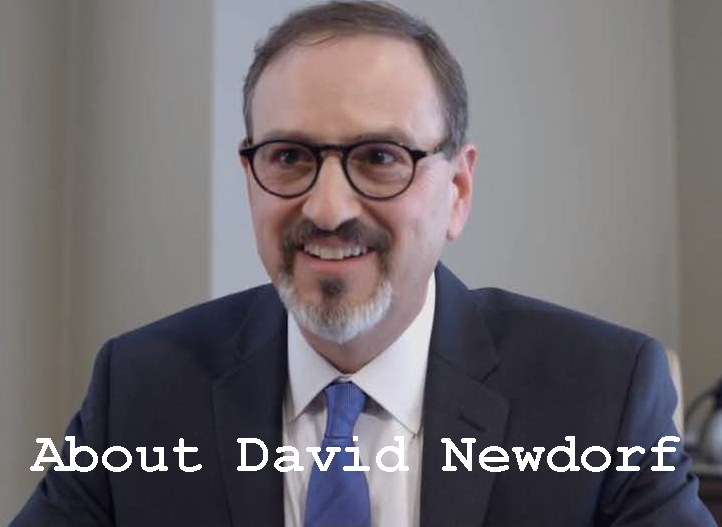 . . and how to avoid them,” contact Newdorf Legal.